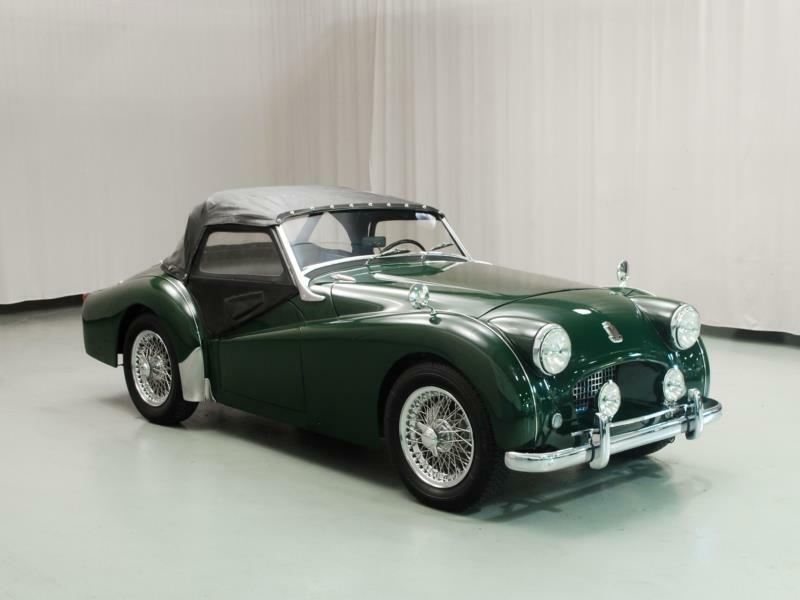 In 1953 MG, Morgan, and Jaguar among others were already competing in the budding sports car market. 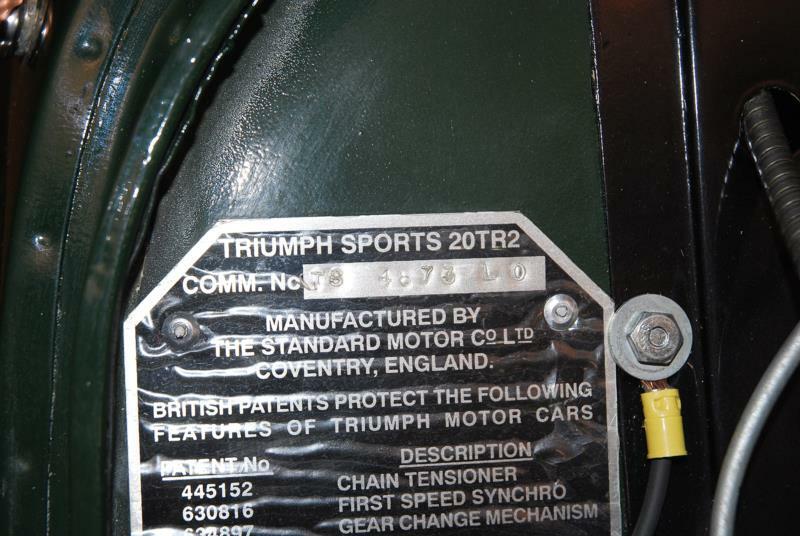 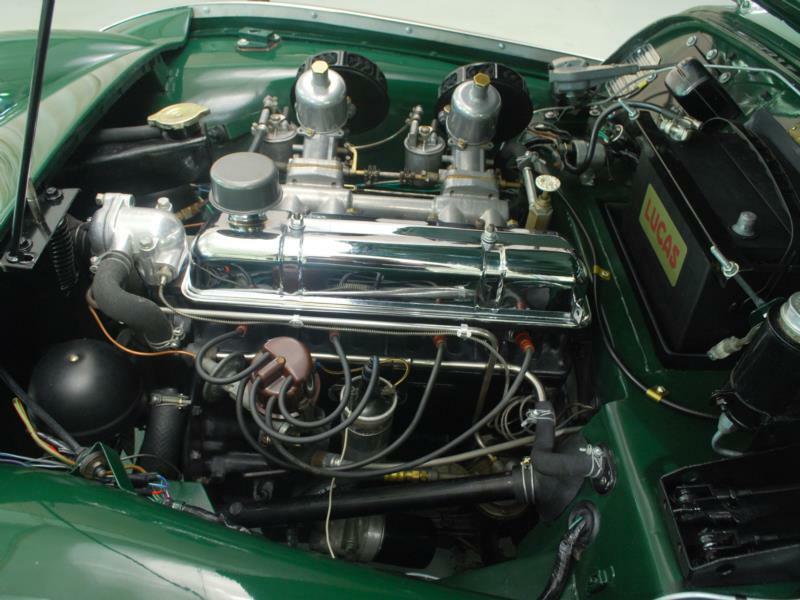 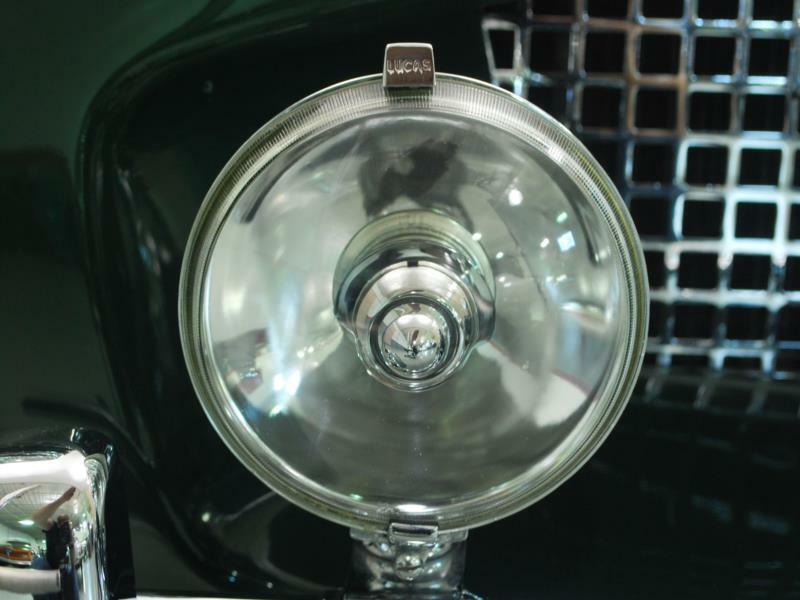 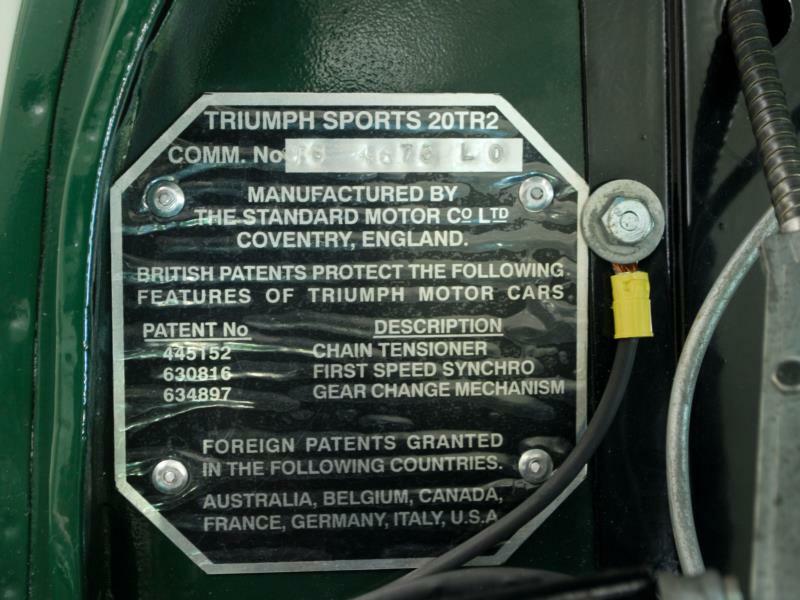 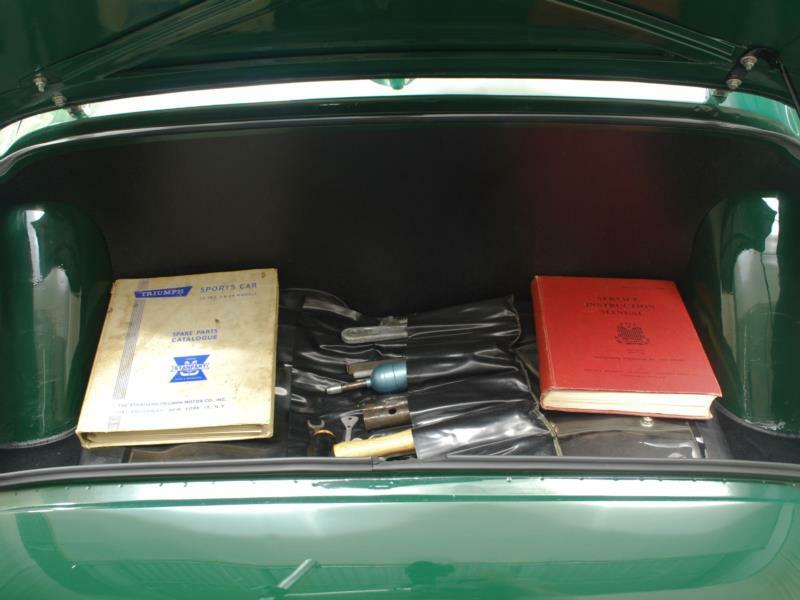 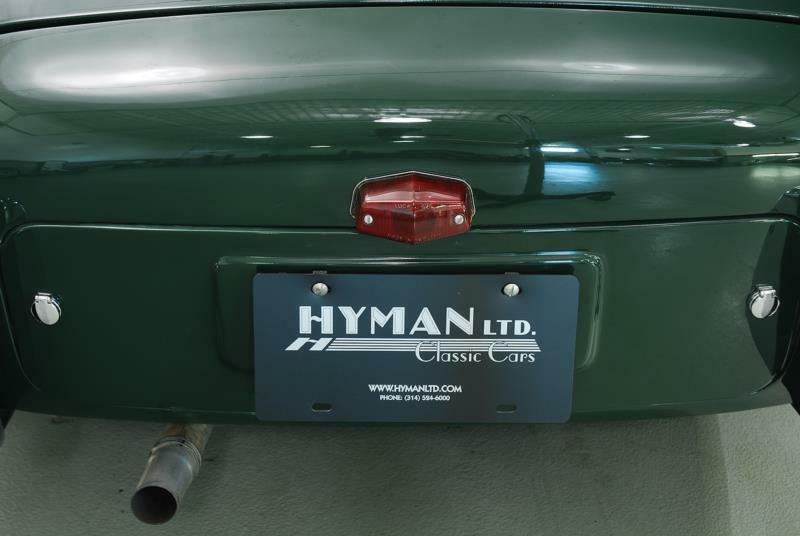 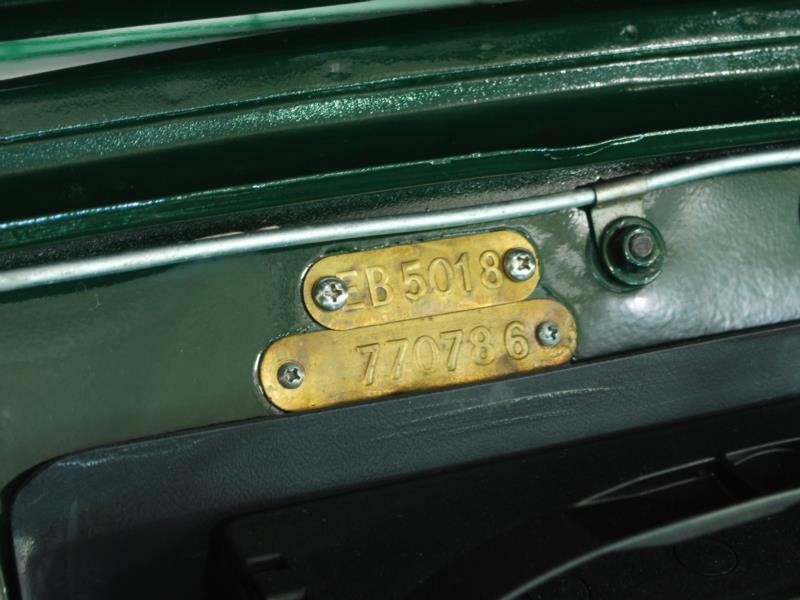 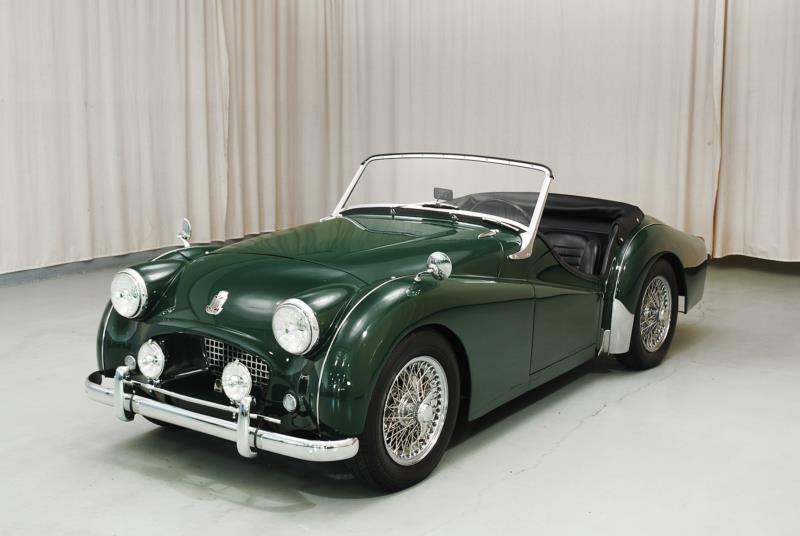 The Standard Motor Company – the parent company of Triumph at the time – saw the growing interest among automotive enthusiasts for such cars and set to develop a capable roadster. 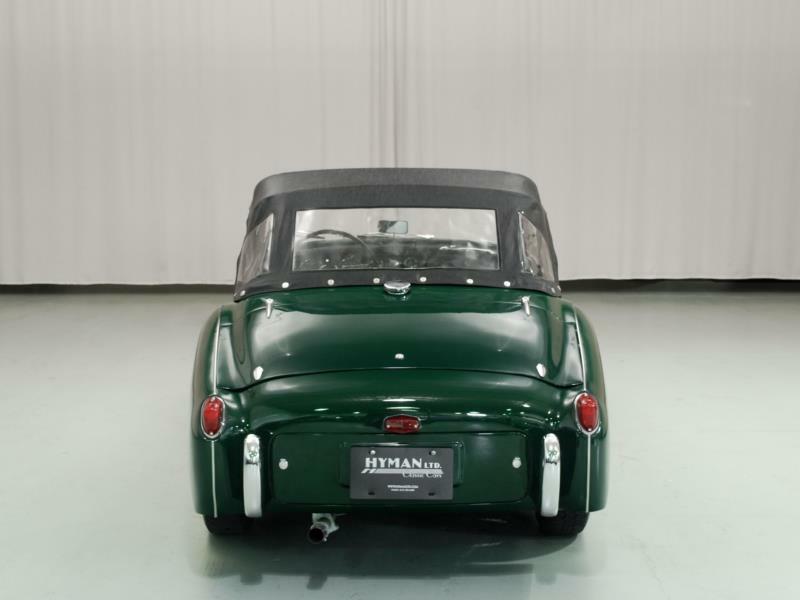 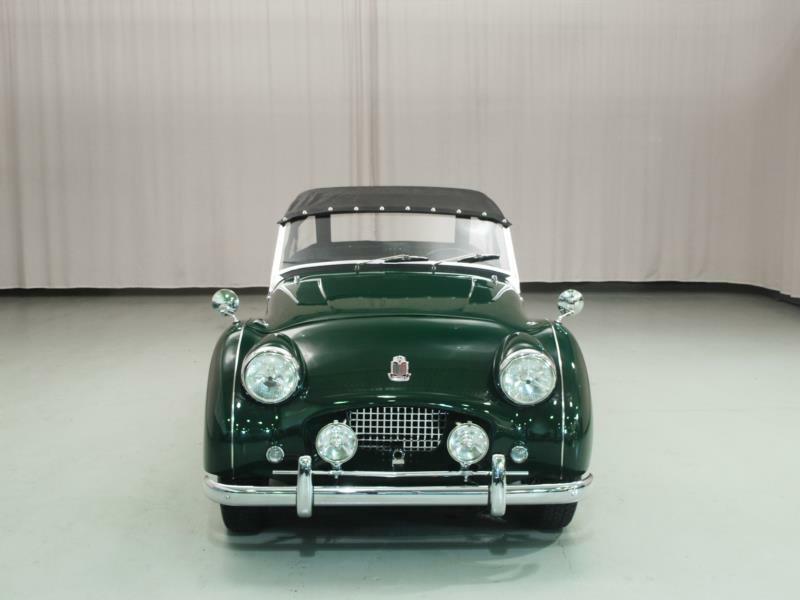 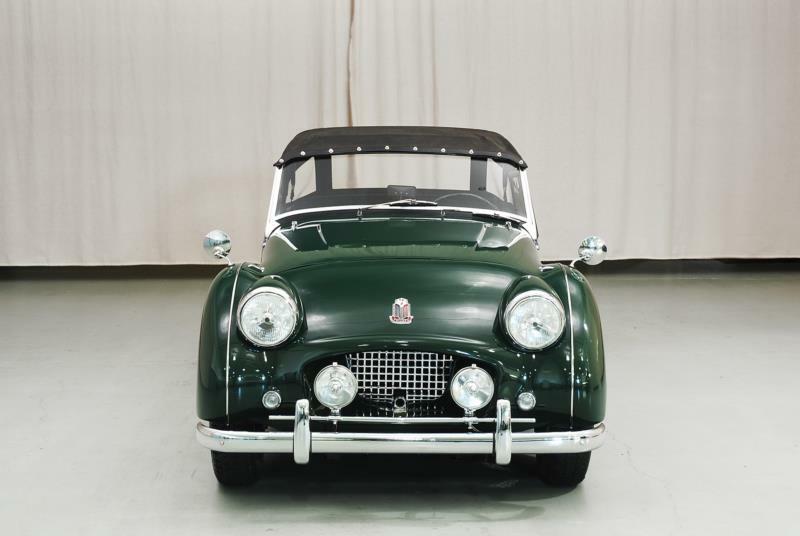 As a result, the Triumph TR2 appeared in 1953, and its combination of performance and affordability set the tone for the next 10 years of the company’s lineup. 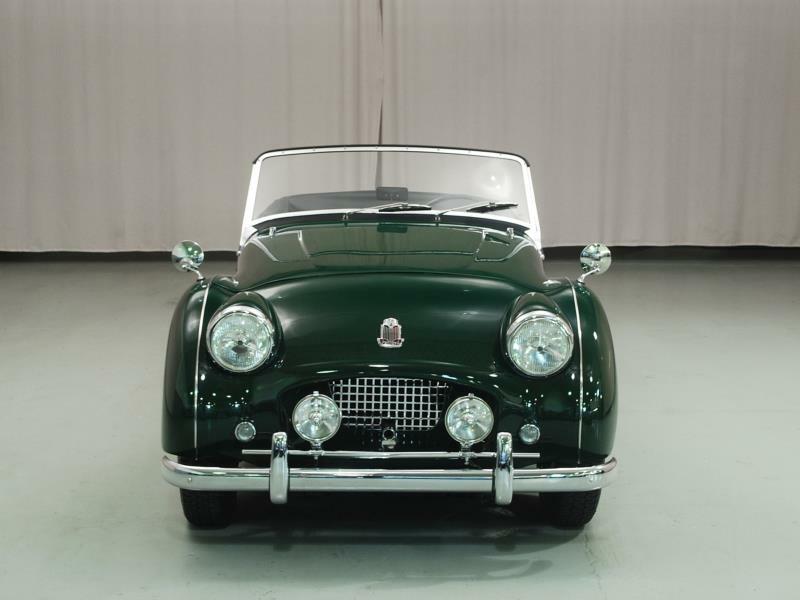 The TR2 was an inexpensive, no-nonsense, two-seat sports car that offered very little in the way of creature comforts or weather protection. 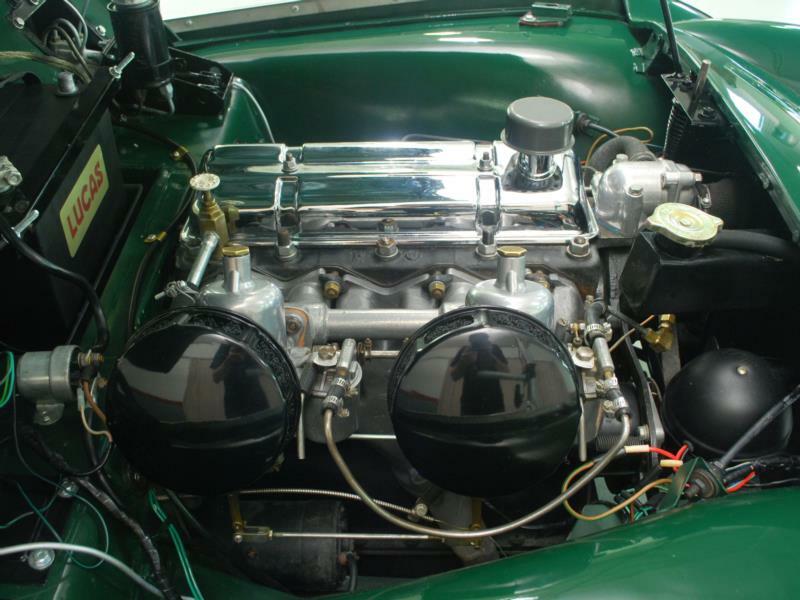 A 90-hp version of Standard’s 1991 cc inline four-cylinder engine was mated to a four-speed gearbox, all of which resulted in a potential top speed of 105 mph. 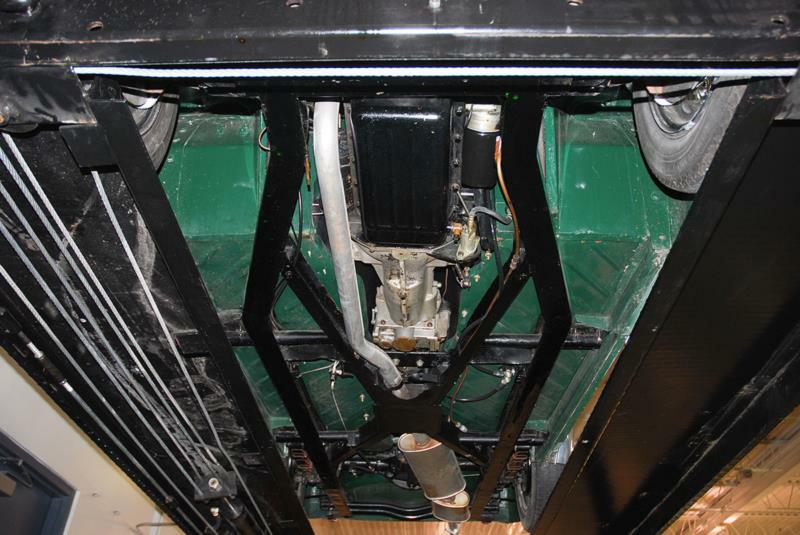 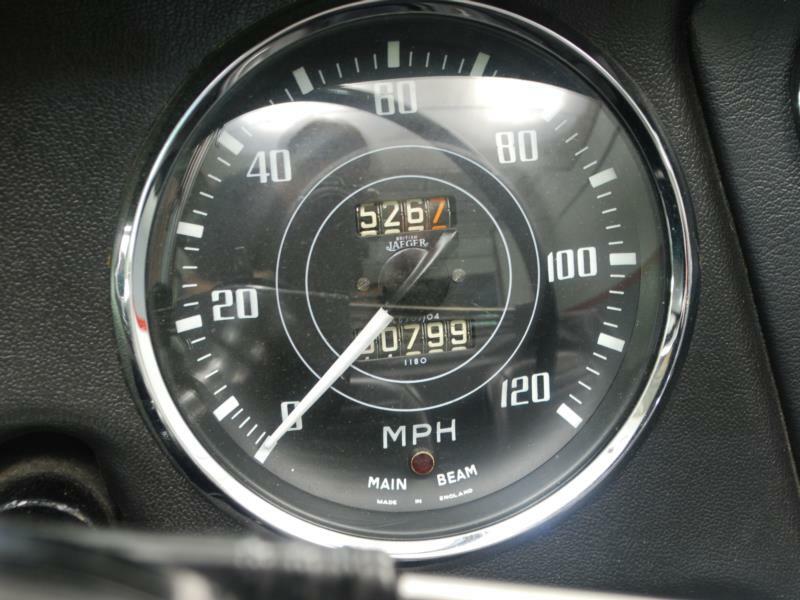 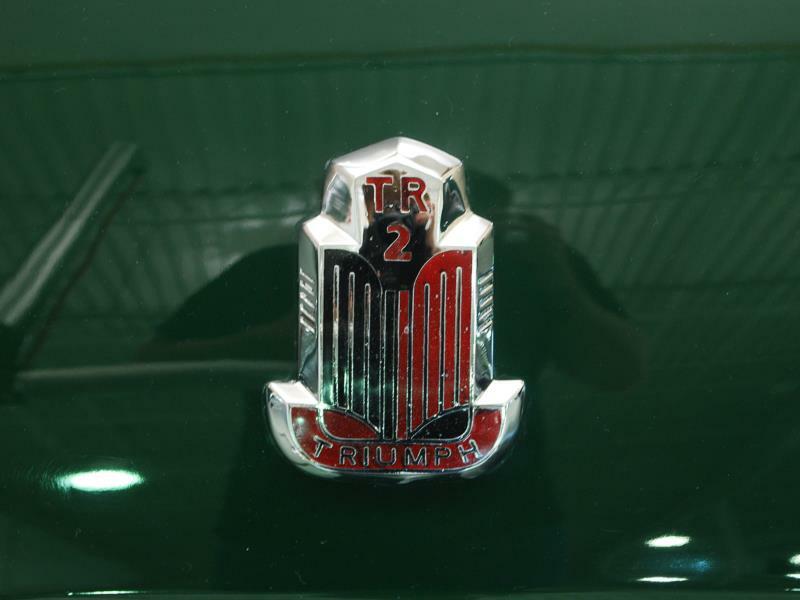 In fact, the TR2 was one of the cheapest ways for a driver to hit triple digit speeds. 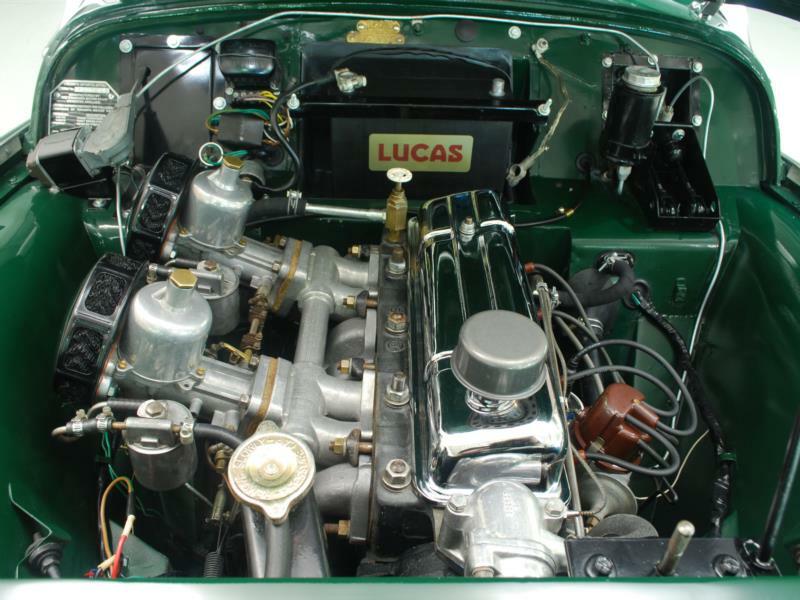 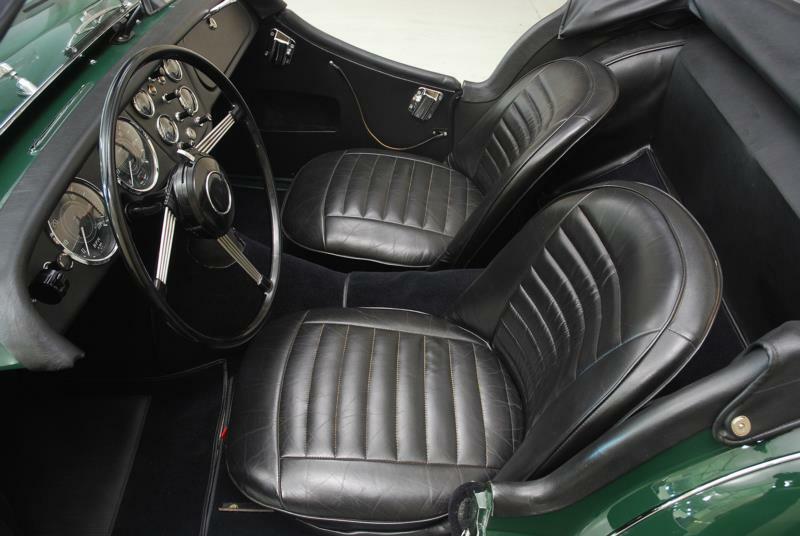 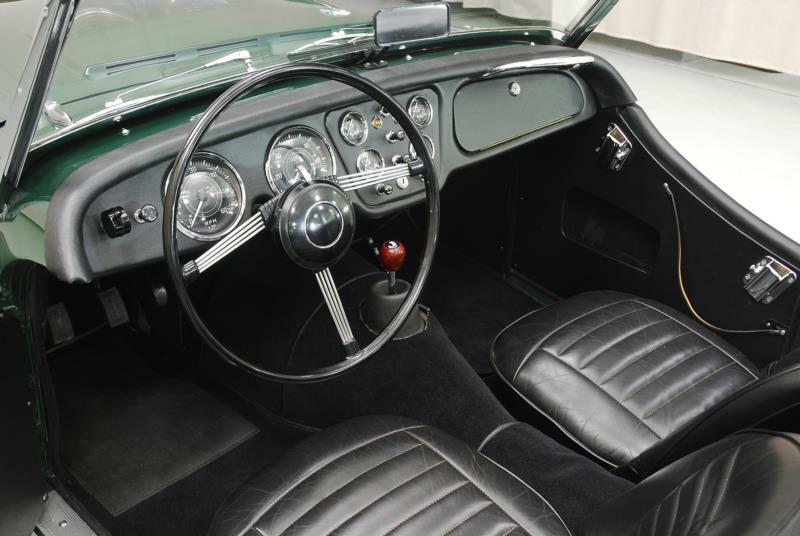 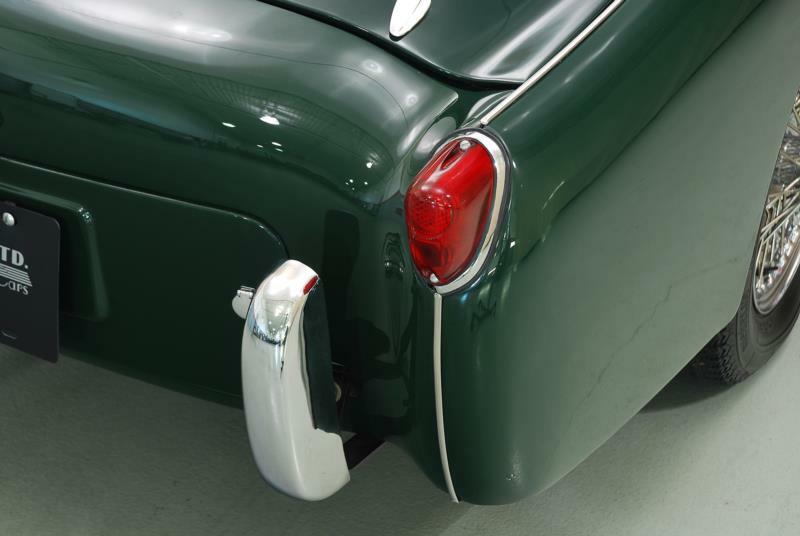 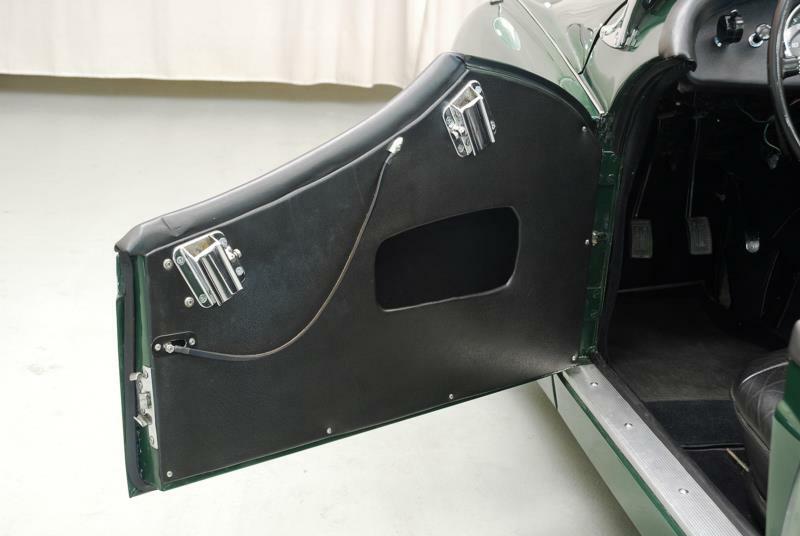 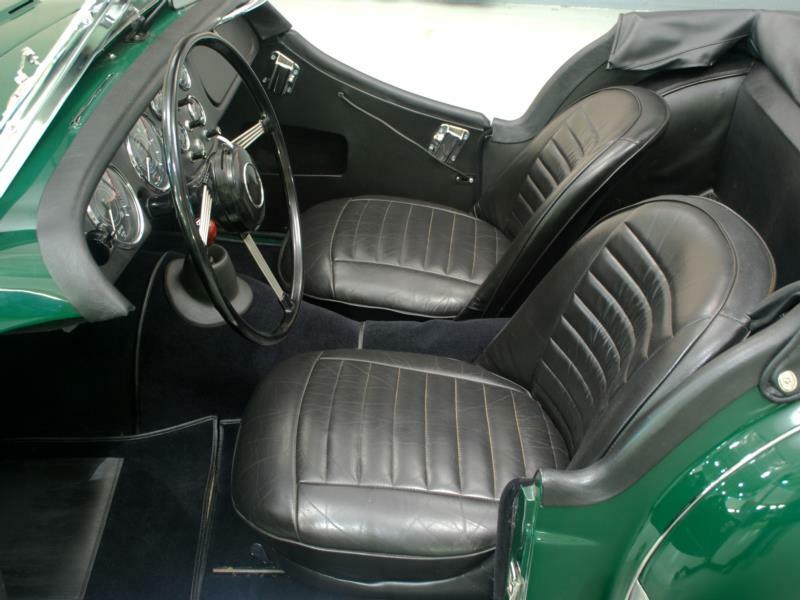 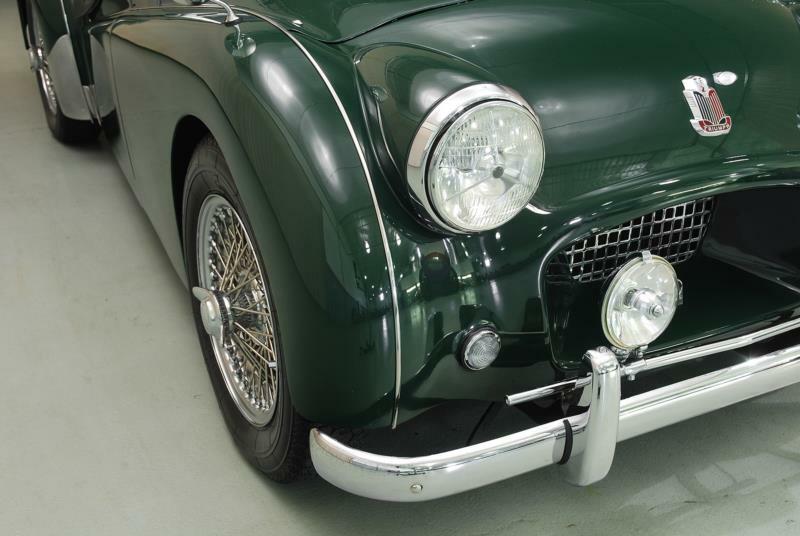 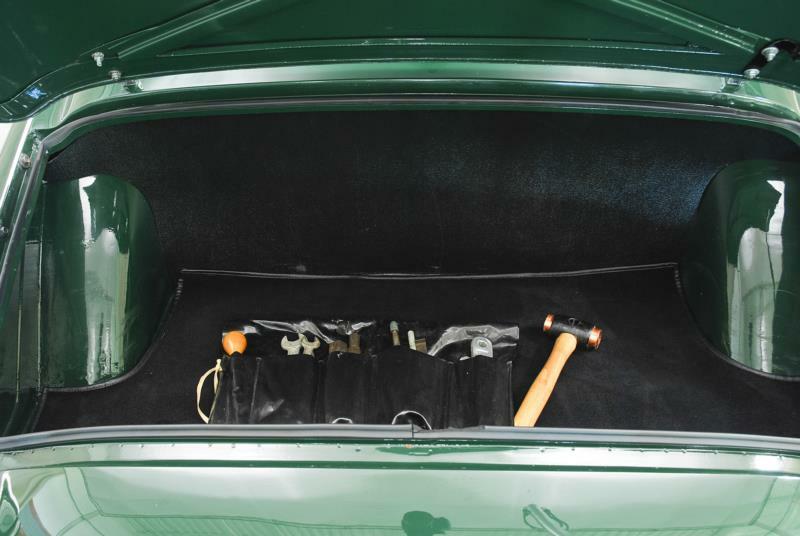 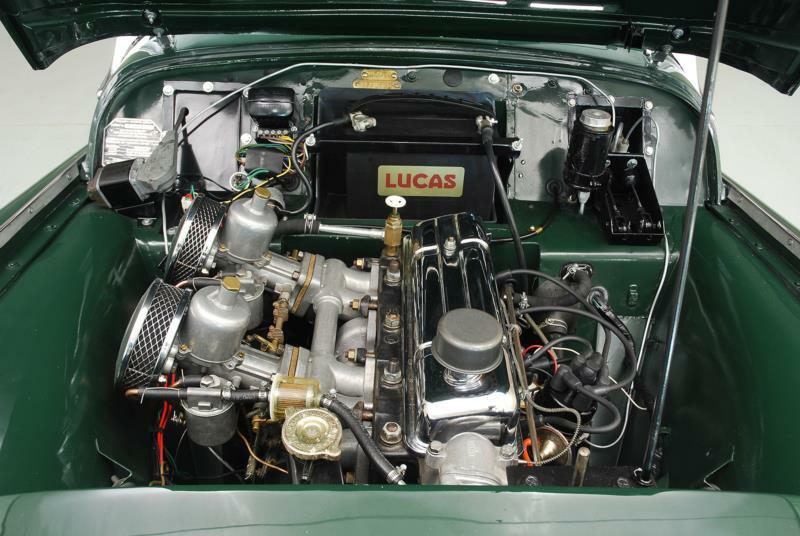 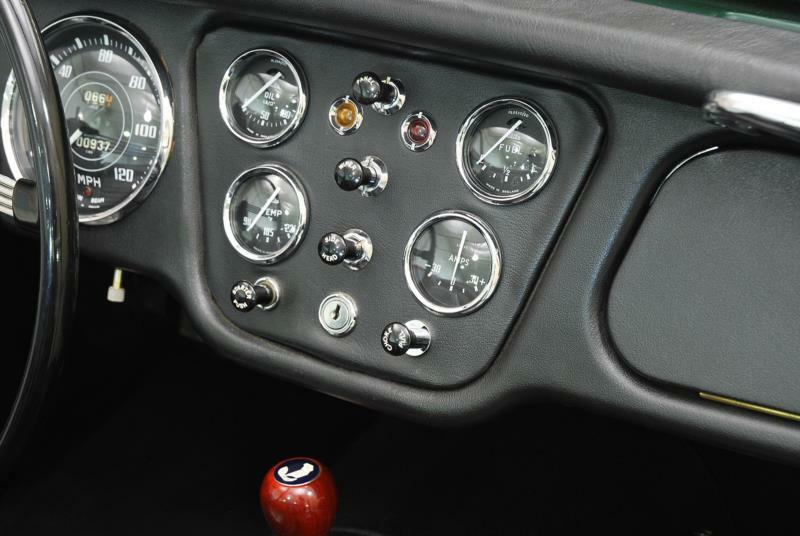 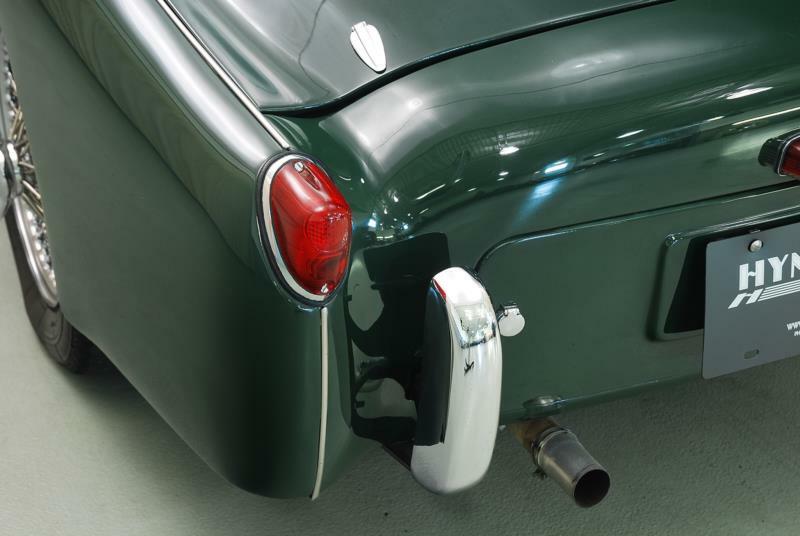 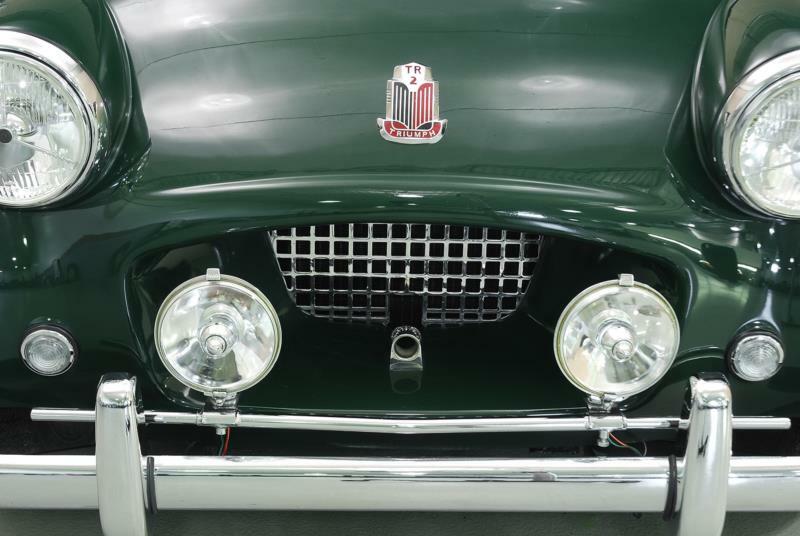 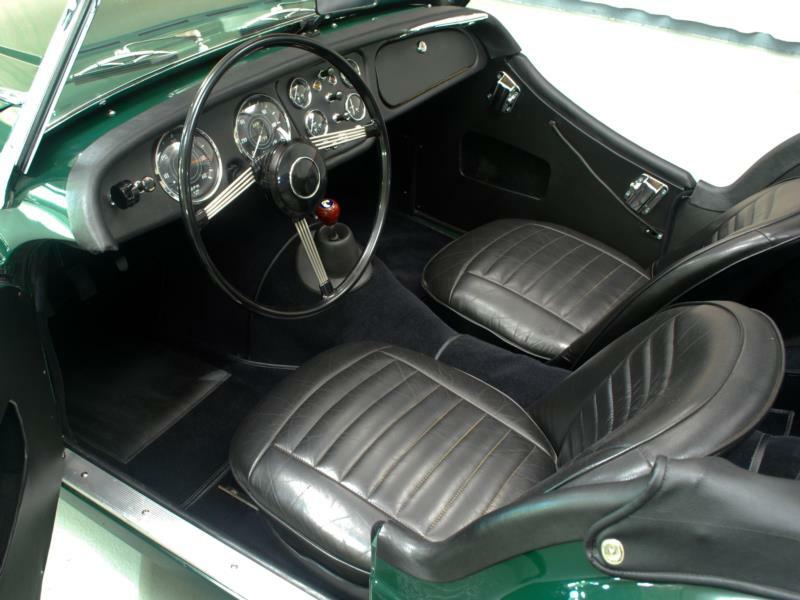 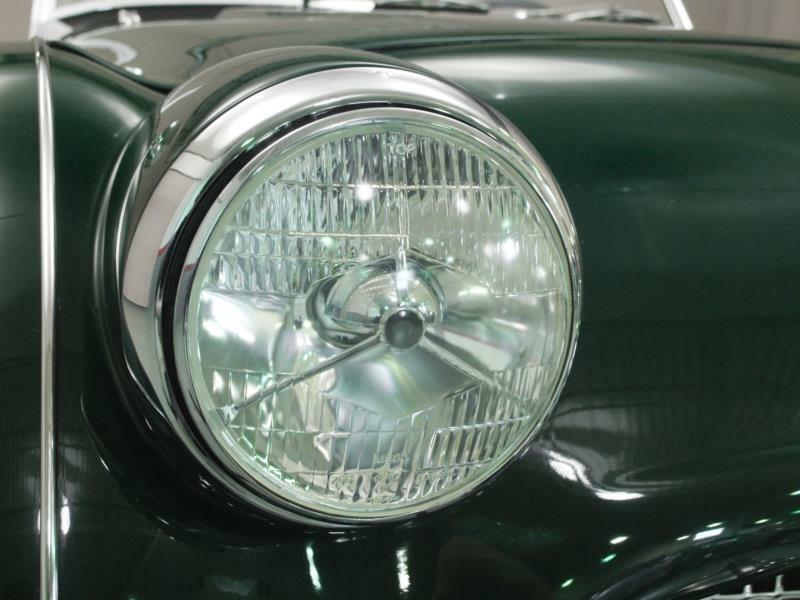 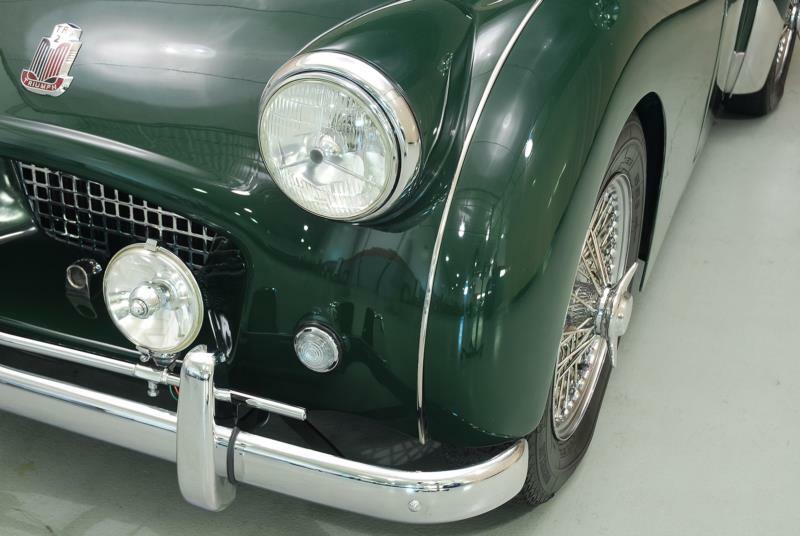 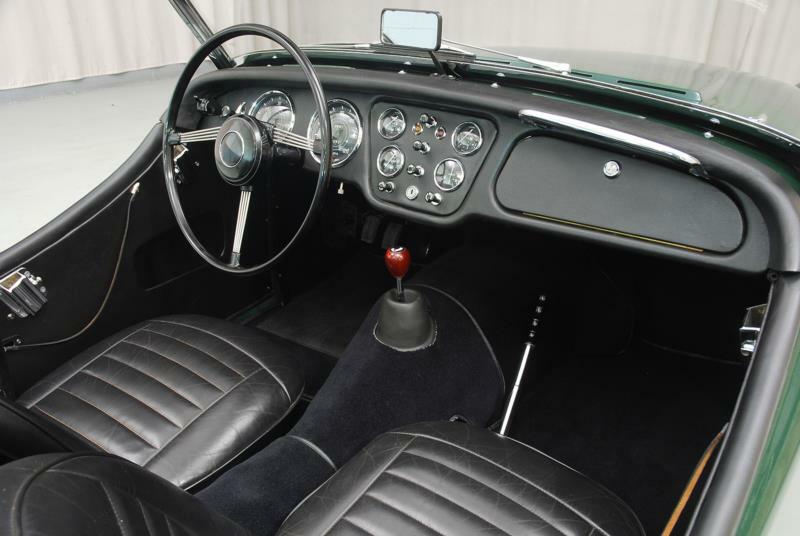 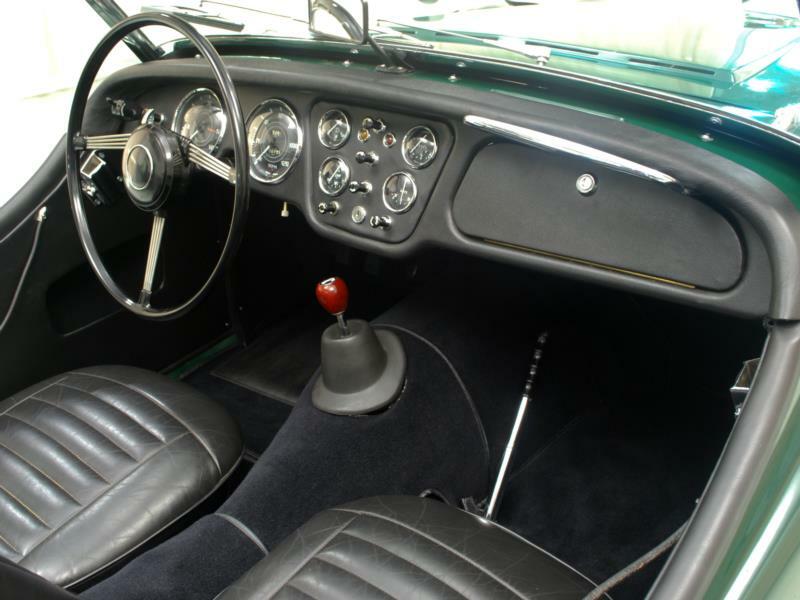 Visually, the TR2 had low-cut doors and a deep-set grille that evolved through the TR3 model lineup. 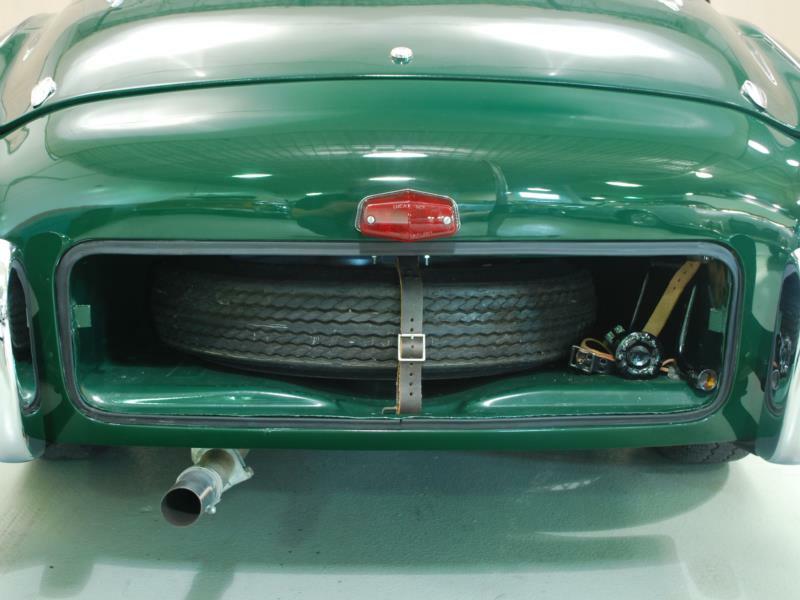 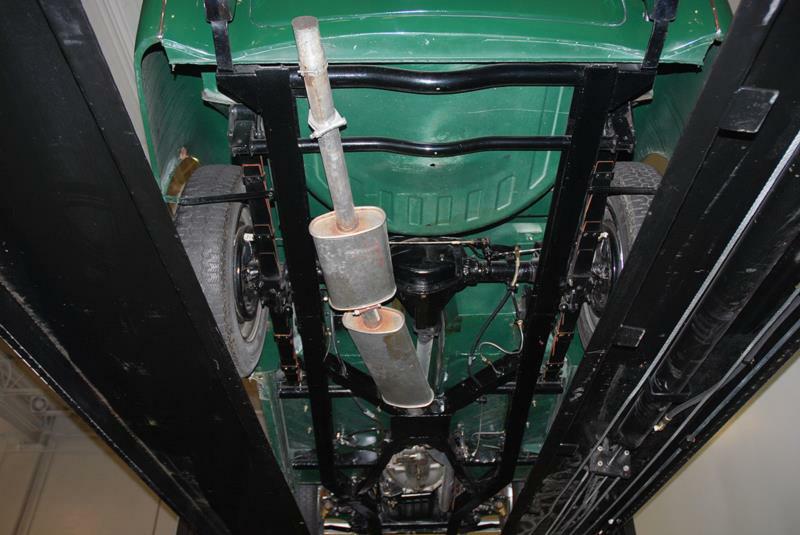 Underneath its bodywork, the car sat on an independent front suspension and a live rear axle, and wore drum brakes on all four wheels. 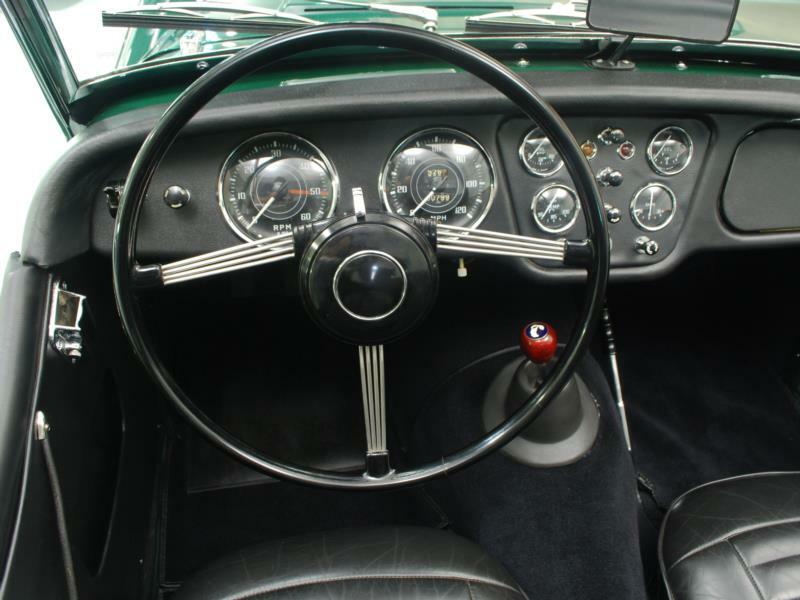 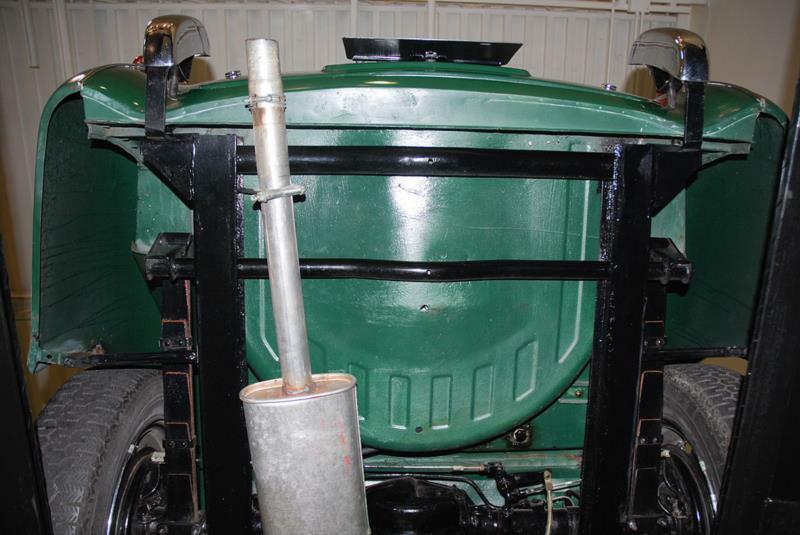 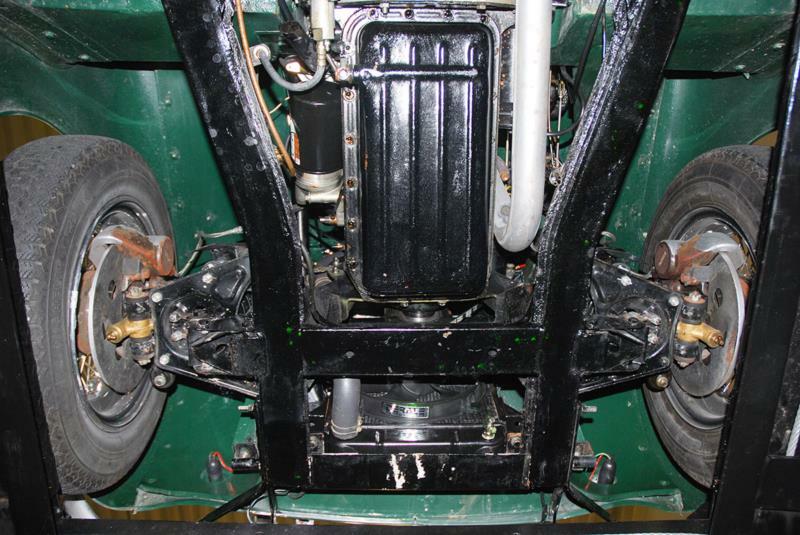 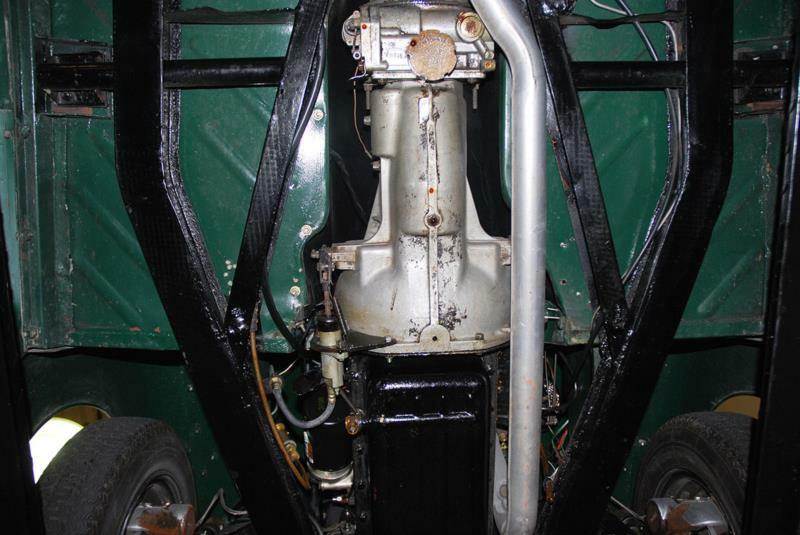 Optional equipment on the TR2 included overdrive, a hard top, and wire wheels. 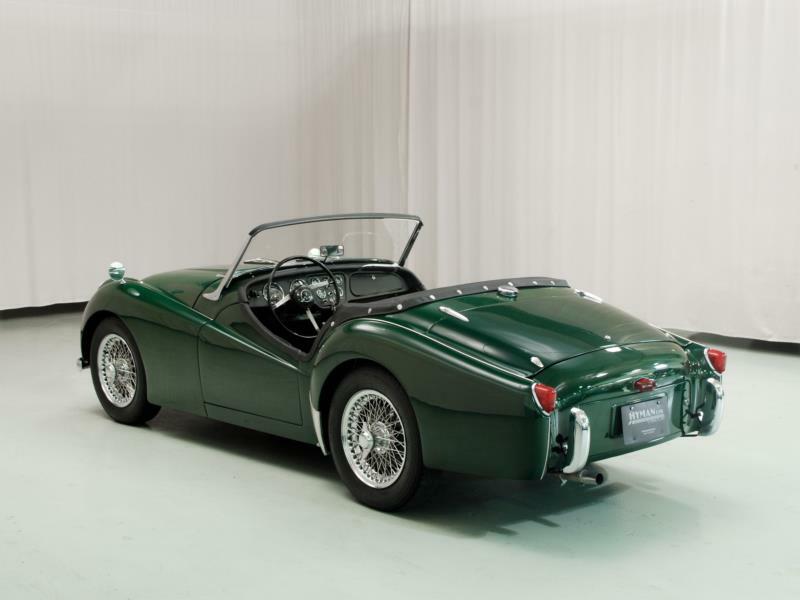 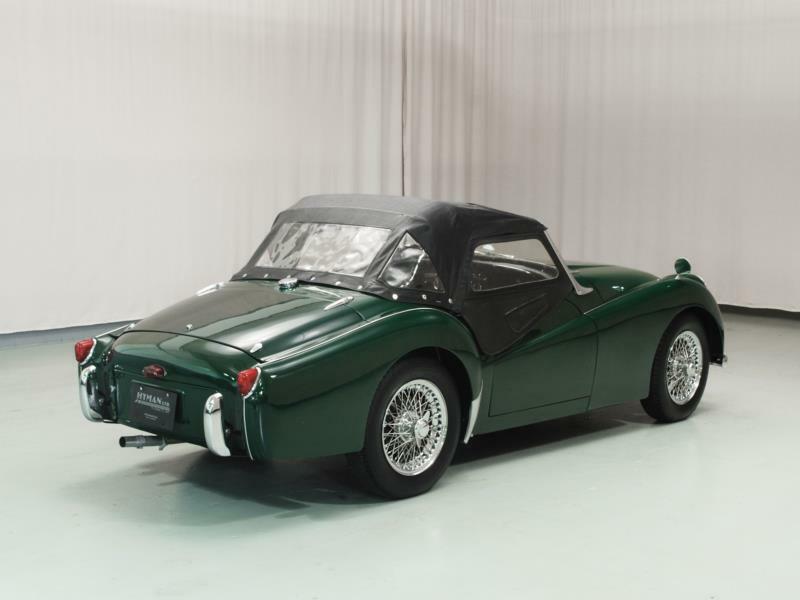 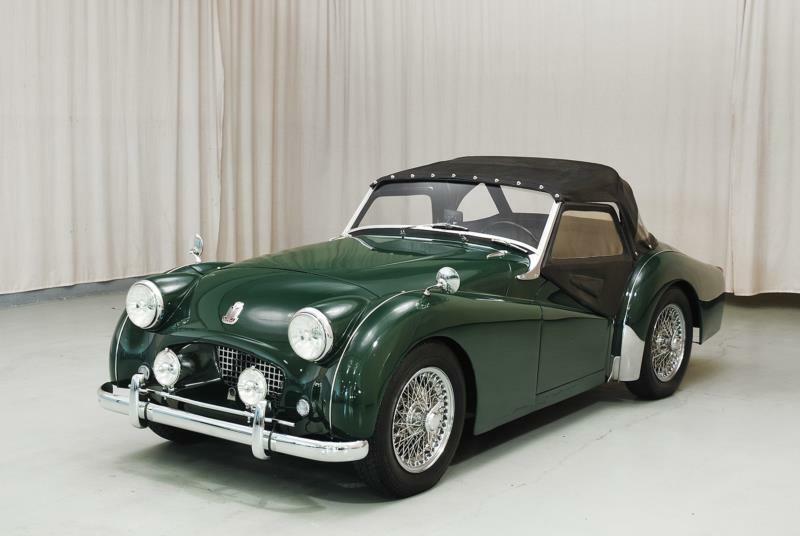 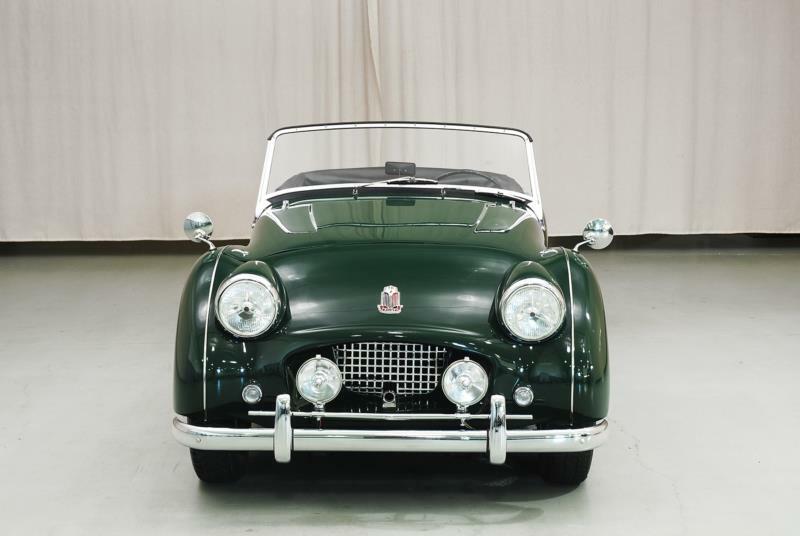 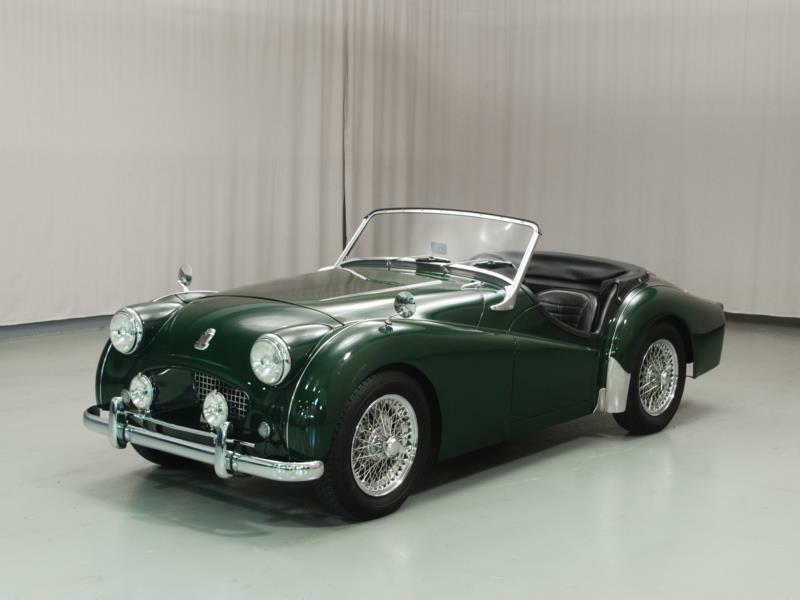 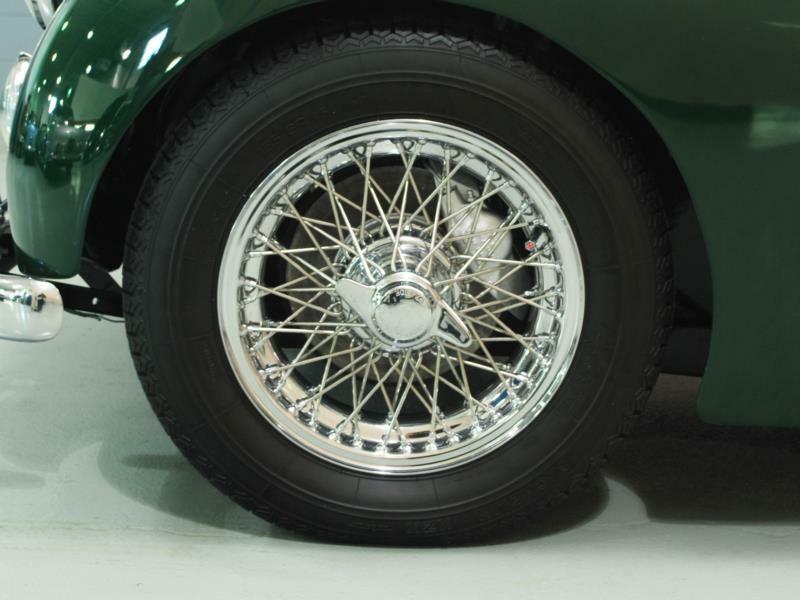 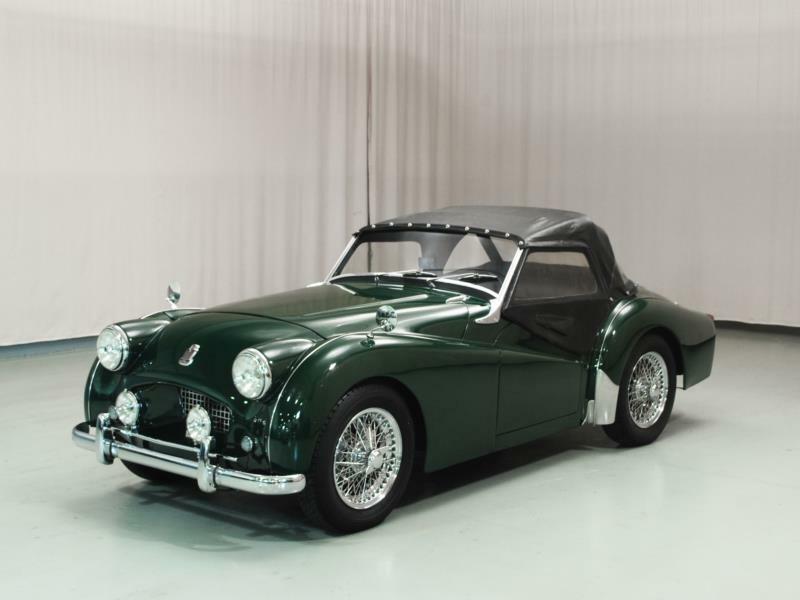 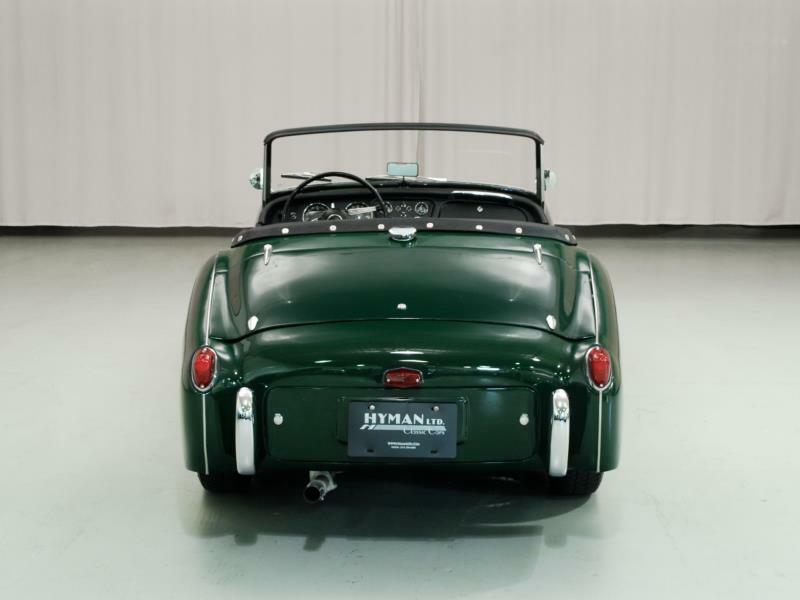 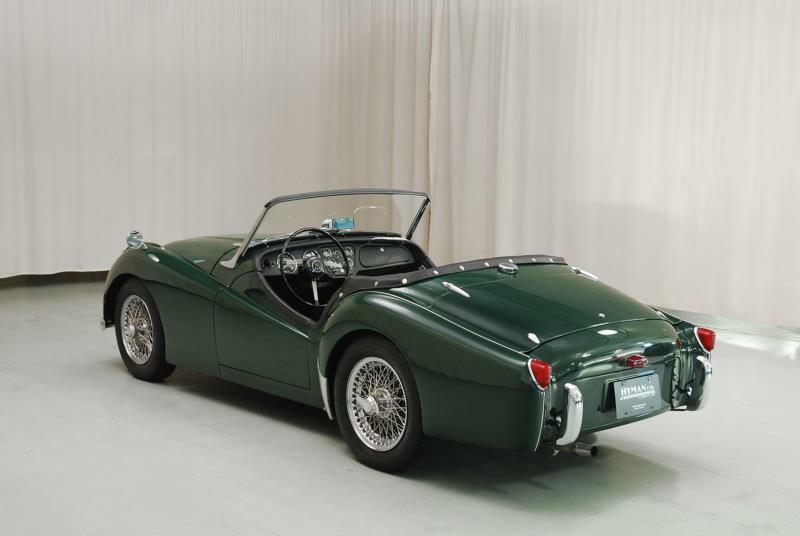 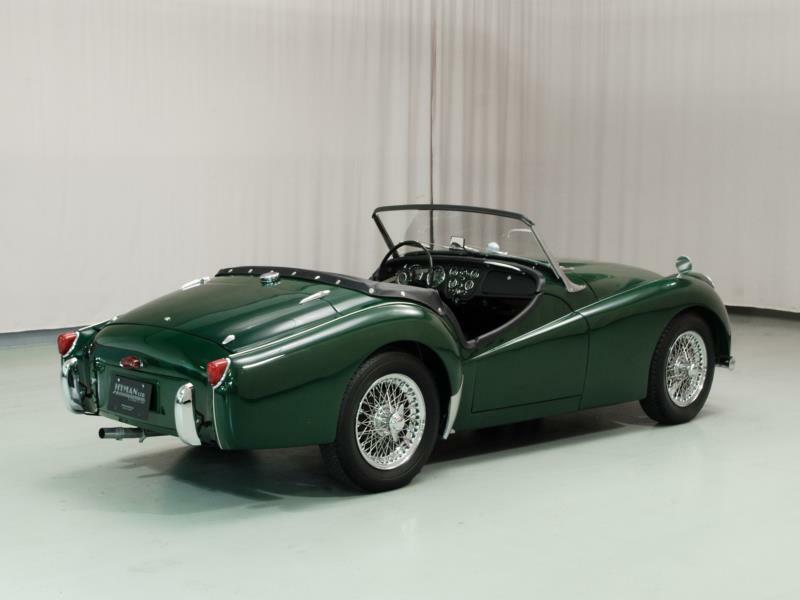 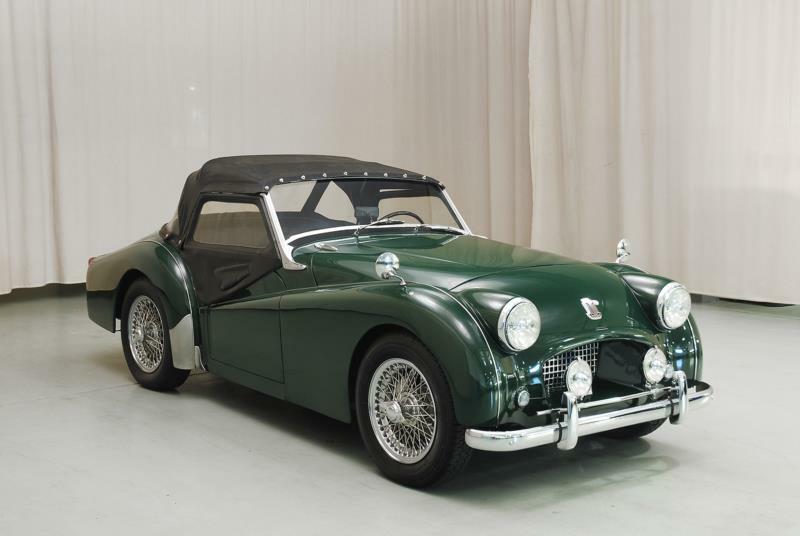 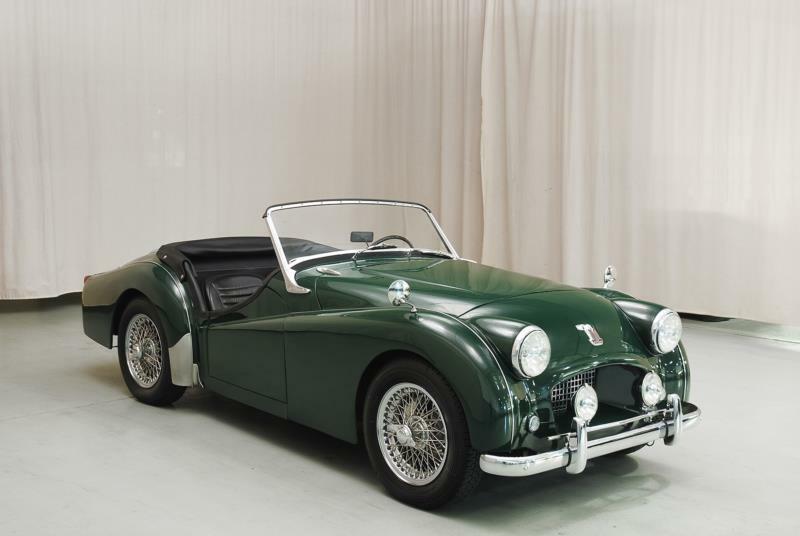 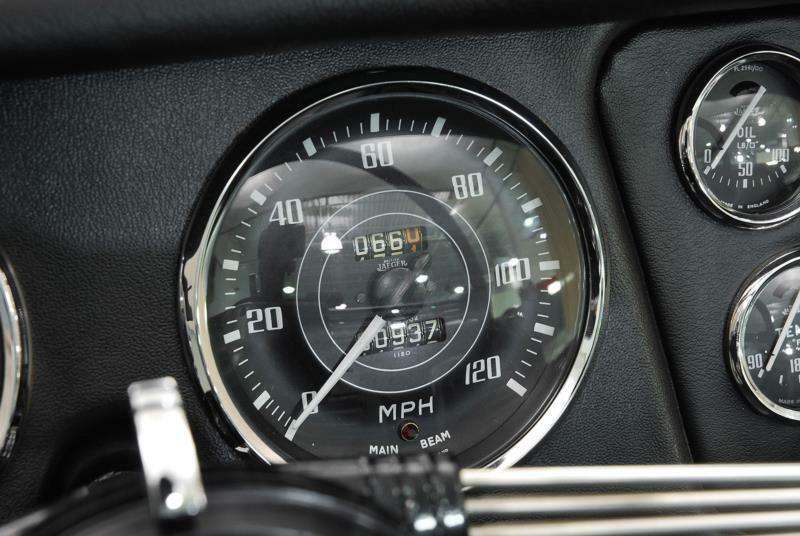 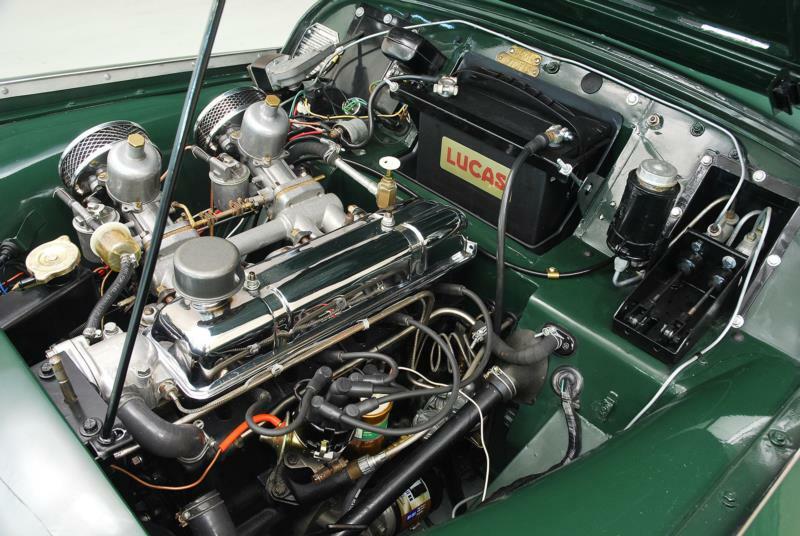 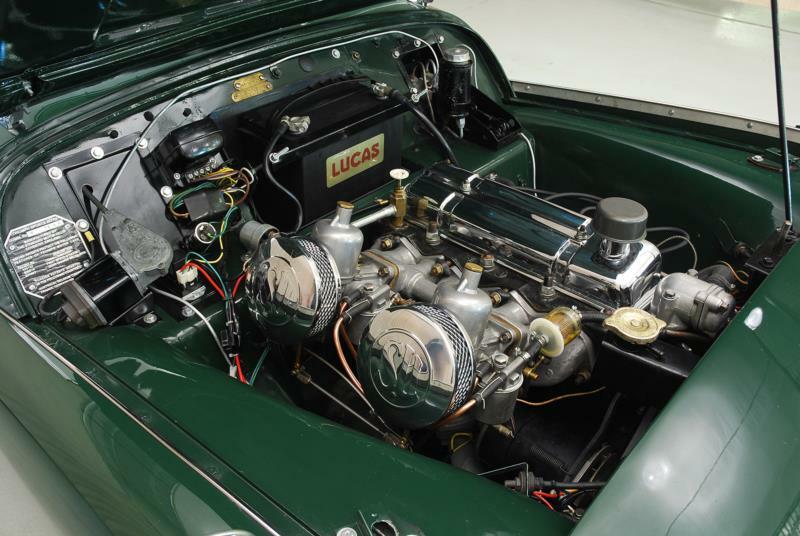 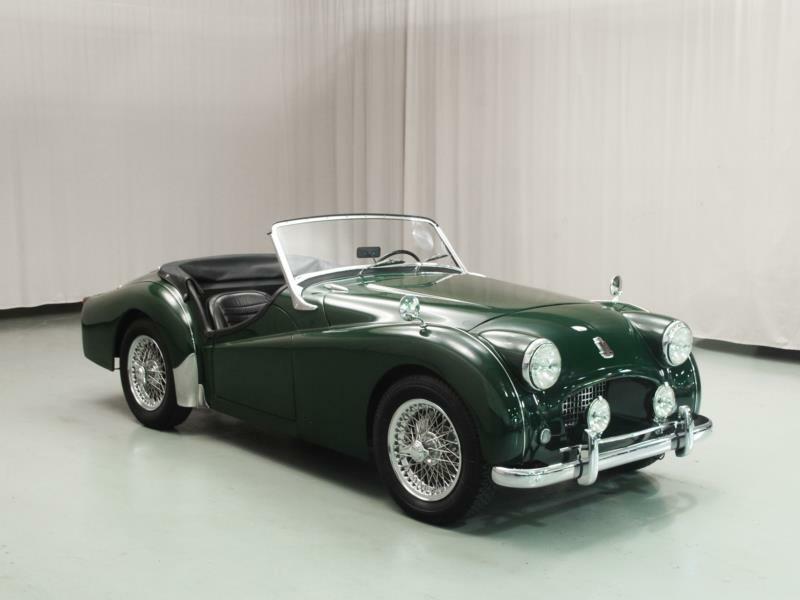 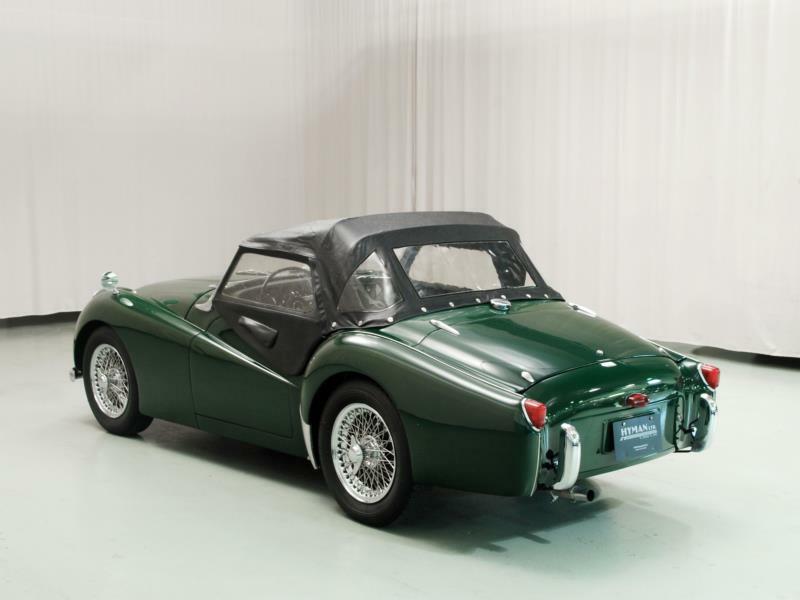 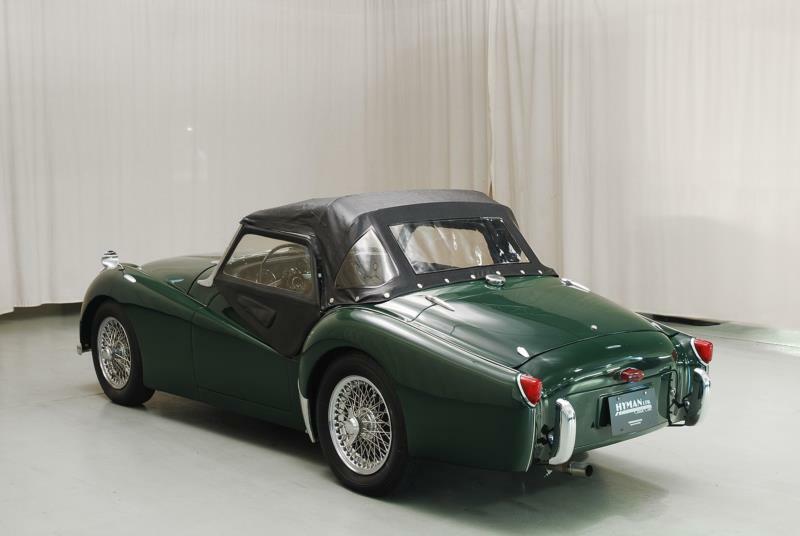 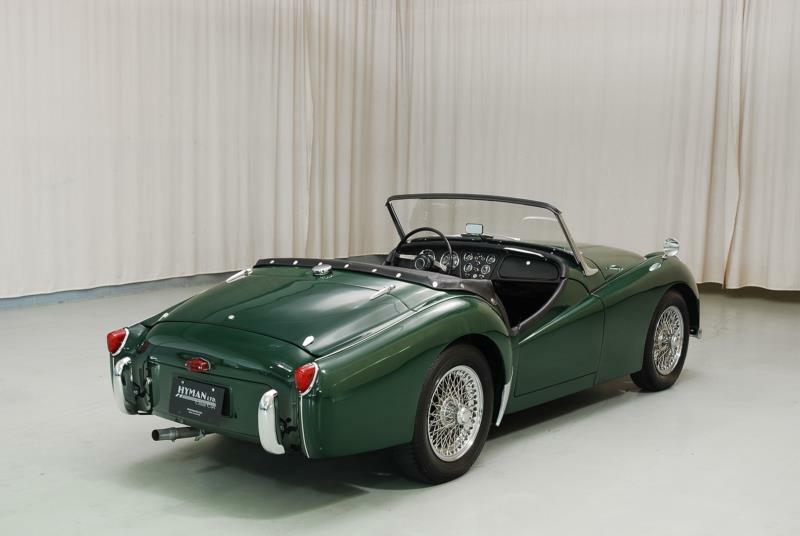 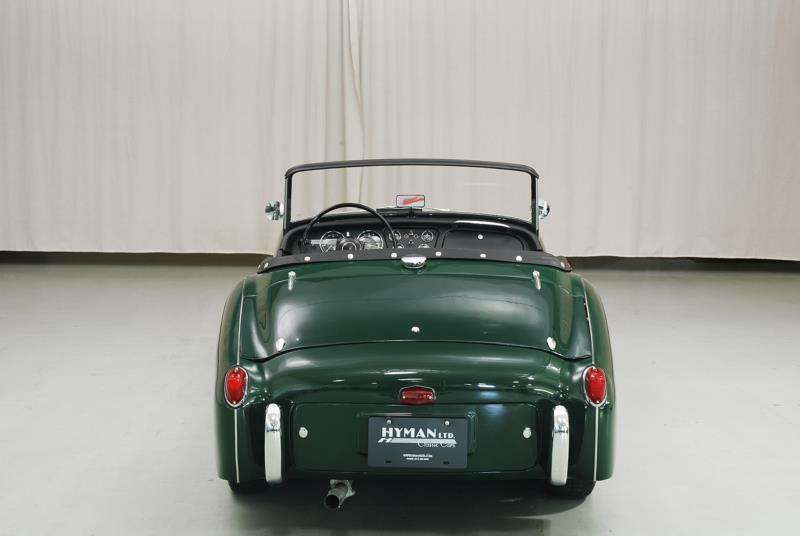 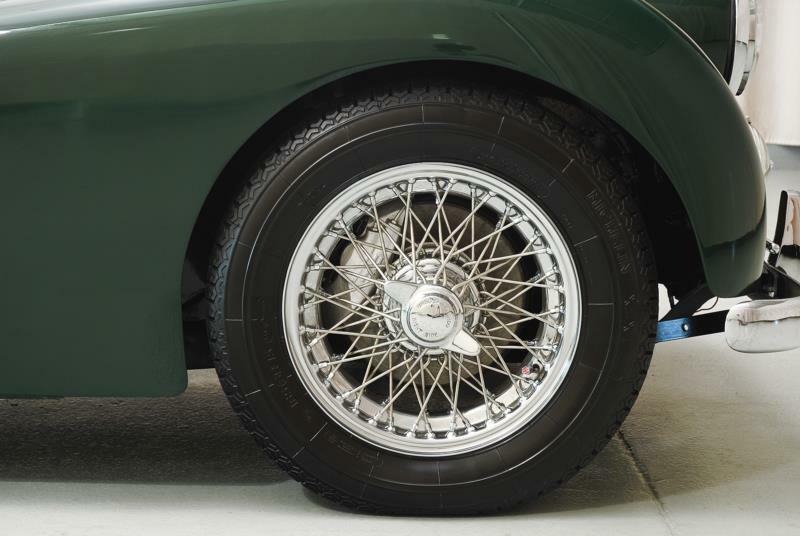 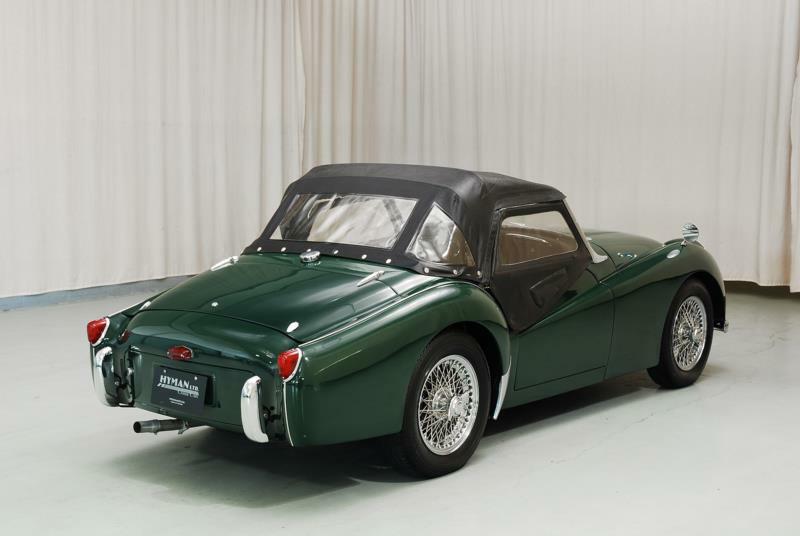 While fewer than 10,000 sold during the car’s production run, the TR2 was the genesis of Triumph’s sports car lineup, and set the stage for all of the great two-seat roadsters that Triumph produced through the 1970s.